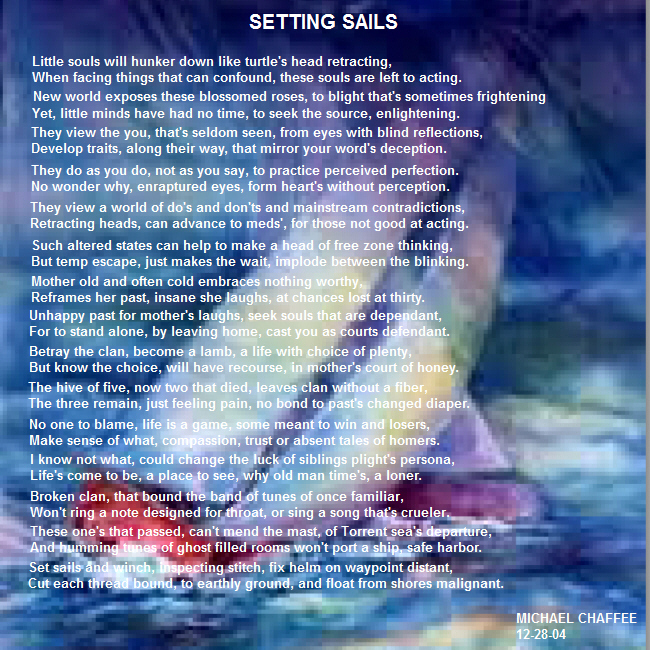 SETTING SAILS | Challenging the perceptions for our realities! This is a poetic summation of the development of one’s perceptions. In a sense, it is a story that engages one’s retrospective view for the suggestive nature that poetry can offer, in the quest of getting to know the origins of our introspective views, that chart our course in life.